Guardian: Three years ago, after relationships with both men and women, he met William Charles Pollock, who works at BBC 6 Music, by chance, at a Christmas party. It was "love at first sight". Wolf was at a low ebb, after touring relentlessly and experiencing bouts of depression that led him to contemplate quitting the music industry altogether. His songs at the time reflected his state of mind – melancholic and aggressive, with tortured, complex lyrics – and his performance persona became increasingly outrageous as he took to the stage dripping in feathers and spray-painted silver. But now that Wolf is engaged to be married, he seems to have rediscovered a sense of simple optimism. His next single, "The City", has already been hailed by the website Digital Spy as "four of the most joyous minutes you'll have this year with your clothes on". The accompanying video features a group of shiny, happy people paddling in the surf in Santa Monica. "I wanted nothing to feel artificial on this album at all," says Wolf. "I wanted to document my joy as naturally as possible… It was time to grow up and change." Later he adds, almost as an afterthought: "I can't lie about things. I find it very hard." And it is true that Wolf seems to embody an unfettered innocence. He is at pains to express himself clearly in answer to questions, taking time to ensure that he has got his point across as honestly as possible and admitting: "I'd rather be embarrassingly open than embarrassingly guarded." Both his openness and his creativity stem from a "wonderful childhood", raised by an artist mother and a musician father in Clapham, south London, with regular holidays to visit his maternal grandparents in County Cork, who introduced him to WB Yeats and the Irish fiddle. "My childhood was full of fantasy," says Wolf, stirring his Bloody Mary with its celery stick. "Dad would only talk in fables or metaphor. It would be: 'Let's go find a pot of gold when there's a rainbow', not: 'Let's go kick a football.' It's in my blood to tell stories." When he was sent to a private, all-boys' secondary school in Wimbledon, he found it difficult to settle in and was badly bullied. "I was suddenly in a male, academic environment, in a place that preached competitiveness through sport and army training, and I was painting my toenails so that when I turned up, they'd send me home… I just wanted to be alone with my four-track. Solitude is one of my favourite things." Wolf spent his spare time making music and editing his fanzine. When, aged 14, he interviewed Minty, Leigh Bowery's art-rock group, he managed to persuade them to allow him to start playing the theremin on stage as part of the band. Wolf promptly dropped his real surname – Apps – in favour of something altogether more fabulous ("I wanted it to sound courageous," he explains) and was soon reinventing himself as a performer. When he was 15, Wolf's parents transferred him to Bedales, the progressive boarding school, and the bullying stopped; but he admits it has taken him several years, and psychotherapy, to deal with its impact. Negative criticism, he says, has lost its power to wound – "I'm not comfortable with it but I'm numbed to it" – and now he is keen to move on. "I find it quite strange thinking about myself as a teenager," he says. "It feels like a world away" (Patrick Wolf: 'It was time to grow up'). 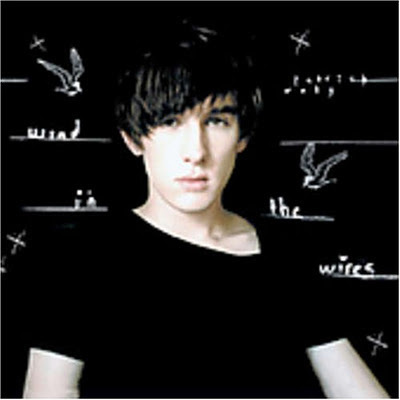 Patrick Wolf (born Patrick Denis Apps on 30 June 1983) is an English singer-songwriter from South London. Patrick utilises a wide variety of instruments in his music, most commonly the ukulele, piano and viola. Known for combining electronic sampling with classical instruments, Wolf's styles range from romantic folk to techno-pop (Wikipedia: Patrick Wolf).